Wyke Farm ia a 17th Century grade II listed farmhouse set in the rolling countryside bordering Devon, Dorset and Somerset. 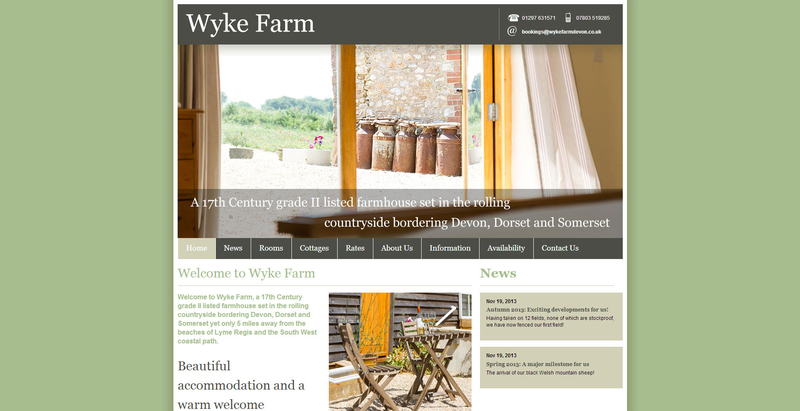 Wyke Farm wanted a site that reflected the historic nature of the farm. We also included an interactive calendar that shows availability of all the rooms and cottages.